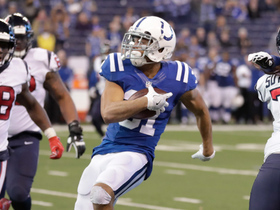 Hamilton was signed by the Colts on Monday, the team's official site reports. Analysis: Hamilton, who dressed for three regular-season games with the Texans in 2017, hit the free agent market in June after being released by the Cardinals. The 27-year-old figures to provide depth at wide receiver throughout the remainder of the preseason while the unit deals with a handful of injuries, including a torn ACL for sixth-round pick Deon Cain. Hamilton will be waived by the Cardinals to make room for Greg Little, who signed with the Cardinals on Thursday, Ian Rapoport of NFL Network reports. 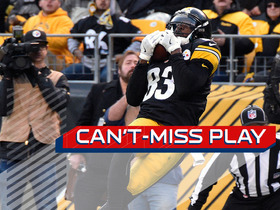 Analysis: The Cardinals claimed Hamilton off of waivers in late March, Hamilton seemed like an option to make some noise among a lackluster wide receiver group. His showing in minicamp must not have impressed the Arizona brass enough, however, as he's now set to hit the open market if unclaimed through waivers. The Cardinals claimed Hamilton off waivers Thursday, Darren Urban of the team's official site reports. Hamilton was released by the Texans on Wednesday. Analysis: Hamilton appeared in three games for Houston last season and registered a single catch over that span. While Houston might not be the final destination, Hamilton's size at 6-foot-2 and relative youth at 27 years old could make him worth a second look for some other teams. Hamilton (coach's decision) is inactive for Sunday's game against the Titans, Sarah Barshop of ESPN.com reports. Analysis: Hamilton has yet to see the field in either of the Texans' games since being promoted from the practice squad Nov. 20. Hamilton is expected to be promoted to the Texans' 53-man roster Tuesday, Mike Garafolo of NFL Network reports. Analysis: Hamilton joined the Texans' practice squad in September after spending the preseason in Pittsburgh. The 26-year-old will provide some much needed depth at wide receiver, with Will Fuller (ribs) and Chris Thompson (knee) battling injuries. 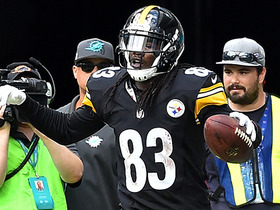 Pittsburgh Steelers QB Landry Jones lofts perfect pass to wide receiver Cobi Hamilton on 26-yard game winning TD connection in overtime. 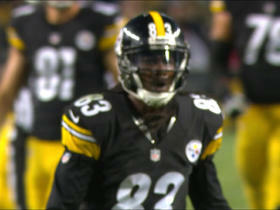 Pittsburgh Steelers QB Landry Jones finds wide receiver Cobi Hamilton for 11-yard 3rd down conversion. 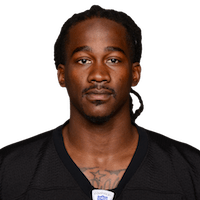 Pittsburgh Steelers wide receiver Cobi Hamilton picks up 21 yards on reception. 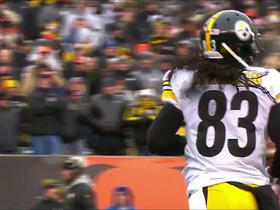 Pittsburgh Steelers wide receiver Cobi Hamilton picks up 15 yards on reception. 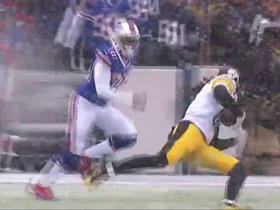 Pittsburgh Steelers Ben Roethlisberger fires deep shot to wide receiver Cobi Hamilton for a 39-yard gain. Pittsburgh Steelers wide receiver Cobi Hamilton pulls in a 15-yard reception. Steelers wide receiver Cobi Hamilton pulls in a 17-yard leaping reception. 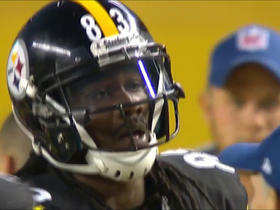 Steelers wide receiver Cobi Hamilton comes up with a 23-yard touchdown.